Say “Jigsaw” in some teaching circles and no one will bat an eyelash. It’s one of those techniques that has been with us so long, it is no longer seen as new. When considering methods to share in my collection of instructional strategies, I ignored it for a long time because I assumed most people already knew how to use it. Still, I figured it was worth including at some point. When I finally sat down to review the steps of Jigsaw, I came across a few surprises. 1. Jigsaw was created as an antidote to racial tensions. For a more thorough understanding of the strategy and its history, read the Jigsaw Classroom’s Jigsaw Basics white paper. 2. Jigsaw is a social-emotional powerhouse. Although cooperative learning in general has been proven to have a strong positive impact on learning (Marzano, Pickering, & Pollock, 2001), researchers have found that Jigsaw in particular improves students’ social-emotional learning. In studies comparing Jigsaw with traditional direct instruction, students taught with the Jigsaw method demonstrated increased feelings of autonomy, competence, and intrinsic motivation (Hänze & Berger, 2007). Another study comparing Jigsaw with cooperative learning that didn’t include interdependence (a hallmark of Jigsaw) found that the Jigsaw students demonstrated improved attitudes toward their peers and reduced indicators of racial prejudice (Walker & Crogan, 1998). Many teachers are looking for ways to help students become more independent learners who also function well in groups. If done correctly, Jigsaw can fulfill all of those needs without ever losing academic rigor. 3. You might be doing it wrong. As a teacher, I never received any formal training in this strategy, and when I tried it, I found it didn’t work quite as well as I’d hoped. After studying the steps again, I realized I was organizing my groups the wrong way. Plus, I never bothered to give the quiz at the end. Want these steps written down? Click here to download a free copy (will open in a new window). 4. There’s a Jigsaw II, III and IV. Jigsaw II has all students read all of the material, but then specialize in one area for their expert groups. Then, when quiz time comes, students’ individual scores are averaged within each group to arrive at a group score, which is then compared with other groups. This encourages groups to work harder to ensure that all members learn. Jigsaw III builds in a group review before the final quiz. Jigsaw IV adds a few extra components to Jigsaw III: The teacher starts by introducing the material, quizzes are given to the expert groups, and a re-teaching period is built in to address material that wasn’t taught well in cooperative groups. I should mention that clear information on these three variations was very challenging to find; with that in mind, I believe there’s a need for a well-written set of instructions to help teachers give each variation a try. So how do you like them apples? Kind of makes you want to get Jiggy with it, no? (Sorry, I couldn’t help it. It was sitting right there.) If you have experience with Jigsaw and have insights or tips to add, please comment below. If you have questions about implementation, let’s hear those, too. Marzano, R. J., Pickering, D., & Pollock, J. E. (2001). Classroom instruction that works: Research-based strategies for increasing student achievement. Alexandria, VA: Association for Supervision and Curriculum Development. Silver, H. F., Strong, R. W., & Perini, M. J. (2007). The strategic teacher: Selecting the right research-based strategy for every lesson. Alexandria, VA: Association for Supervision and Curriculum Development. Jennifer, Thank you for this historical context. I have found that creating the quiz as a Google Form is helpful for scoring and reporting. Equally valuable, I have the students fact-check their answers with each group before submitting. Their experts are right there, why not double check your understanding? The fact-checking also leads to thoughtful, organic small-group continued discussions about the content. Love that idea. Thanks for sharing it! Your article motivated me to attempt this strategy again! Thank You. It was a refreshing change. For the most part it went very well. The hardest part was motivating the conversation amongst the “Experts”. I used the GROUP SCORING tip and when the students returned to their original group there was amazing, quality conversation taking place!!! Jody! Thank you so much for telling me about this! I’m so excited to hear that you tried this again, and about your great results! Jennifer, thank you so much for your help with Jigsaw. I’ve used in the adult ESL reading classroom to introduce holidays like Veteran’s Day, Halloween, and Mardi Gras. For the final task, I have the Ss write a summary, which is an objective for that class. Your blog has been such a help in my first year and a half of teaching! Great stuff. Love the graphics. 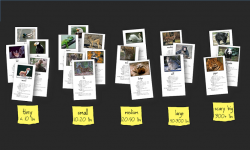 What tool did you use to build this presentation? Thanks for this information. 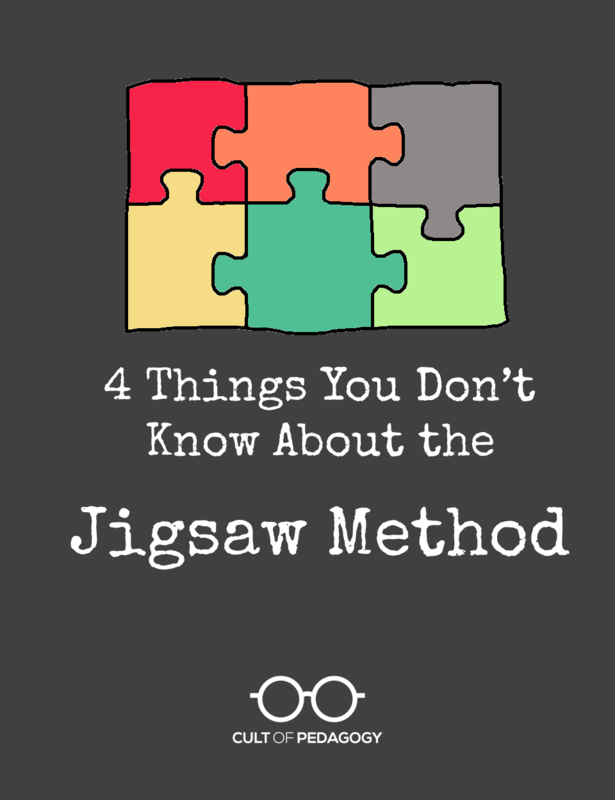 I never used the jigsaw method, but I’ve heard about it. I searched information because I want to try the method. I’ll do it this week. I’m going to give my students 4 different topics (so I’ll have 4 students in each group). Not every group has exactly the same material, but they have the topics in common. I think giving them different material about the same topic can make there is more interaction in the expert groups, because some students will bring new material into the group. your clarification helped me a lot to arrange my thoughts. i was happy to know the differences when using jigsaw strategies and which better suits my students. thank you. I find it works really well to have the students record their individual contributions on a shared online mind map, we use MindMeister. They share their group map with me that way I can keep a track of their work whether they are working in front of me in the classroom or continuing to work individually at home, this also has the advantage of that students are very conscious of the amount of effort being put in by certain other students in the group so don’t end up with a big shock when they finally bring their work together. Last but not least one of the nice things about using MindMeister is it has a built-in presentation tool, so turning the group map into six individual presentations is very simple and very easy to do. Sean, thanks so much for sharing — sounds great! Thanks for another great read on core instructional strategies…I really love Jigsaw II for all courses. I’m referencing your blog post in an upcoming session for teachers! Thanks. Hey, Matt! I work for Cult of Pedagogy and this is great to hear — thanks! I teach a 2.5 hour block at a vocational school. How long would you say to give the students with each “chunk” and also in expert groups?